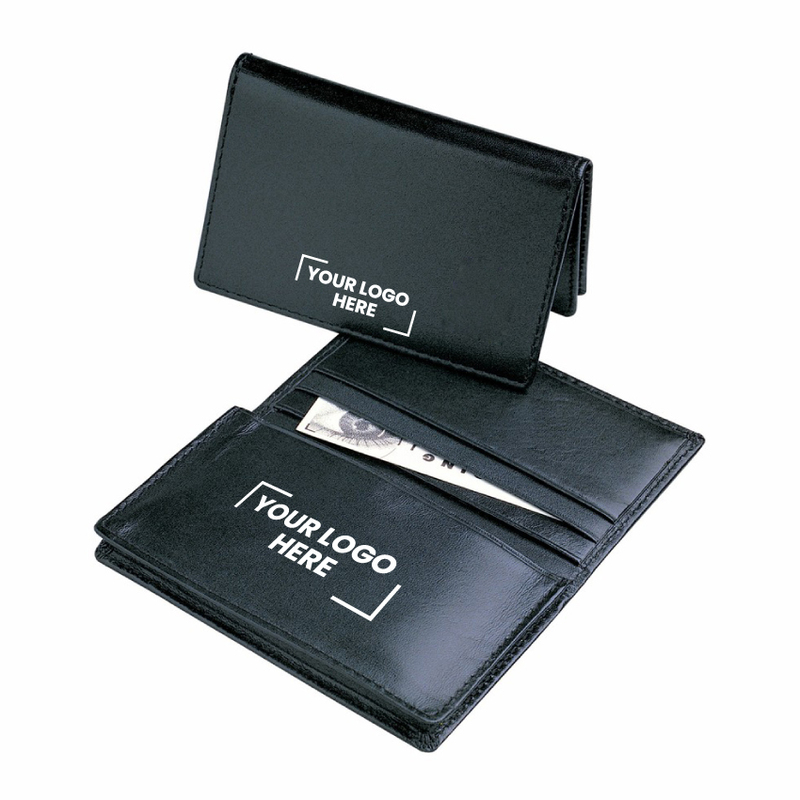 Leather gusseted pocket card holder with 3 additional credit card pockets. Holds approx. 20-25 business cards. Supplied in black box. Colours: Black, Dimension: 70mm H x 110mm W. Price includes : 3 Day Service* Pad Print - One Colour/Location. Setup is included.